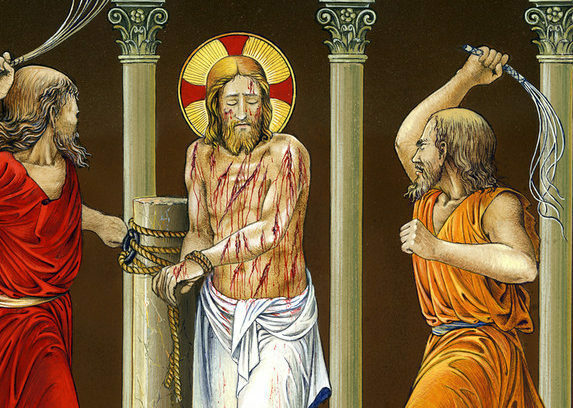 Pilate thought that, by scourging Jesus, he would satisfy the Jews and so be able to set Him free. This is how the weak always think: compromise, give in to evil so as to appease it. However, this only makes things worse. What is extraordinary is that He gave Himself up to be scourged. We can imagine His sweet groans. His Most Holy Body writhing in pain, His adorable flesh torn by the whip. This was the flesh of the God-Man! He stood, full of dignity, meek and without protest, conversing with the Eternal Father within Himself. Our Lord could have lamented like the prophet David: “What profit is there in my death . . . ?” (Psalm 30:9) What profit is there in my blood, which I shed so generously and so abundantly? 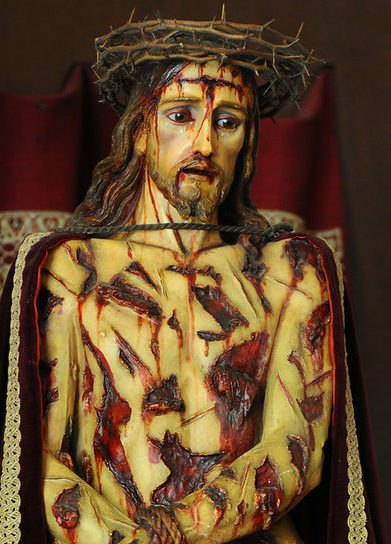 This entry was posted in Featured and tagged backbone, Christ, Crown of thorns, Dignity, humble, humility, meek, Passion, pillar, sacrifice, scourging, suffering by Plinio Corrêa de Oliveira. Bookmark the permalink.